Van Nicholas Zion 29er Rohloff Titanium Mountain Bike Frame; Our dependable, responsive MTB frame with the hassle-free Rohloff hub and the unstoppable rollability of 29” wheels. You can count on it. Have you found the Van Nicholas Zion 29er Rohloff Titanium Mountain Bike Frame Cheaper? Our dependable, responsive MTB frame with the hassle-free Rohloff hub and the unstoppable rollability of 29” wheels. You can count on it. If a Van Nicholas Titanium frame is damaged in an accident not covered by our manufacturer warranty, we will provide a replacement frame for 50% of the current value. Consumers wanting to sell or purchase a used van Nicholas Titanium bicycle or frame can send it directly to our Van Nicholas for Re-Certification and the issue of a new manufacturer’s warranty. 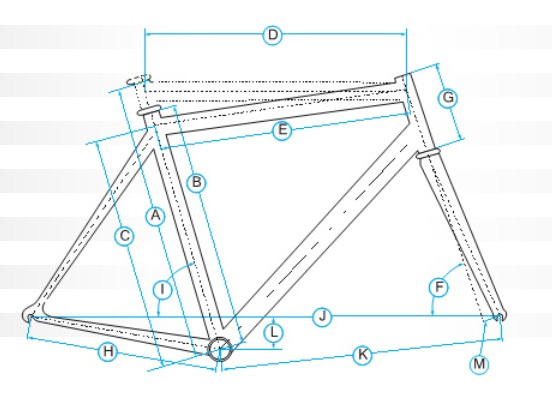 To ensure a perfect bike fit, we automatically adjust the tubing for bigger frame sizes. We etch our classic logo directly onto the head tube, so everyone will know the bike you’re riding is a Van Nicholas. This allows minor adjustments to be made to ensure correct chain tension on bikes where adjustments cannot be made in the rear section. Tapered to provide increased rigidity at maximum load point and ensure positive, direct power transfer and ride feedback. Machined to perfection form one single plate. Built to cope with high stresses, with a sophisticated look. Lighter, cleaner and quieter than a regular chain. The ideal choice for commuter and tourer alike. The award-winning 14-gear enclosed Rohloff hub offers smooth, almost unnoticeable shifting, even when stationary. Frame optimised for a shorter travel fork, from 80 to 100 mm, designed for regular trail and single-track riding. Provision for the attachment of pannier racks and increase comfortable load-carrying capabilities. Big rocks, big roots? Bigger wheels keep you rolling over bigger obstacles. This is for a frame only, images are only a guide. Height (in) 5'0" - 5'4" 5'3" - 5'7" 5'6" - 5'10" 5'9" - 6'1" 6'0" - 6'4" 6'3" - 6'6"
What do you think of Van Nicholas Zion 29er Rohloff Titanium Mountain Bike Frame?